The group behind the Winslow Family 4th of July Celebration has a meeting planned with the Clinton Lions Club next week, but time is growing short, and Winslow will not host it this year. Organizers behind the Winslow Family 4th of July Celebration still are searching for a new home for the decades-old event just three months away from the holiday. But with its longtime hometown, Winslow, no longer committed to hosting the multi-day event that draws tens of thousands of people, chances are shrinking that an arrangement can be made for the festivities to be held as usual. Mike Davis, president of the board for the Winslow Family 4th of July Celebration, said the organizers still are working to find a new home for parade and fireworks display. He said a meeting is scheduled for April 12 with the Clinton Lions Club to discuss holding the celebration to Clinton. Davis said moving to Clinton is certainly possible, but not confirmed, and that the event probably would be held at the fairgrounds of the annual Clinton Lions Agricultural Fair, which is off Route 100. If Clinton falls through as a venue, Davis said, the committee that organizes the event has another town in mind, but he didn’t know which one. “I’m sure we’ll find a home somewhere,” he said. 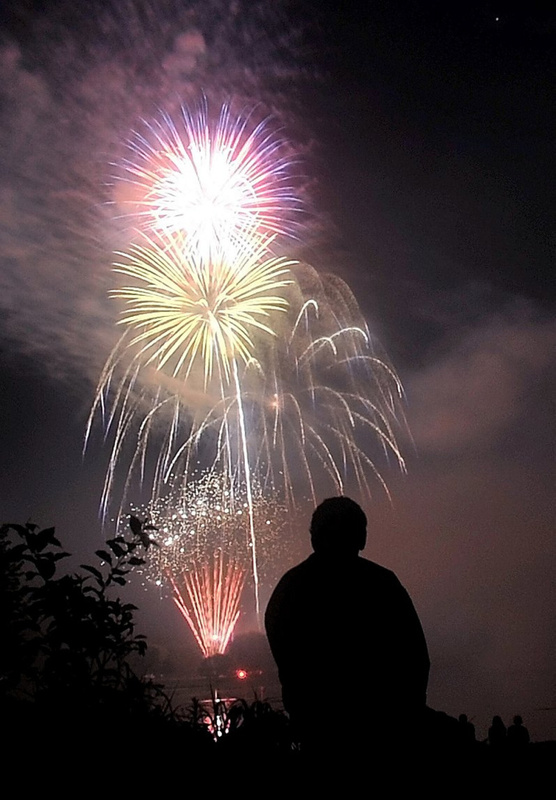 The annual Winslow celebration has called Fort Halifax on the Kennebec River home for events and a fireworks display. The multi-day event has drawn tens of thousands of people and featured a parade through town, plus live music, contests and fireworks at Fort Halifax Park. But after 26 years of the multi-day events, tension has grown between Winslow and the organizers, a nonprofit group with a board of directors that put on the event with volunteers. 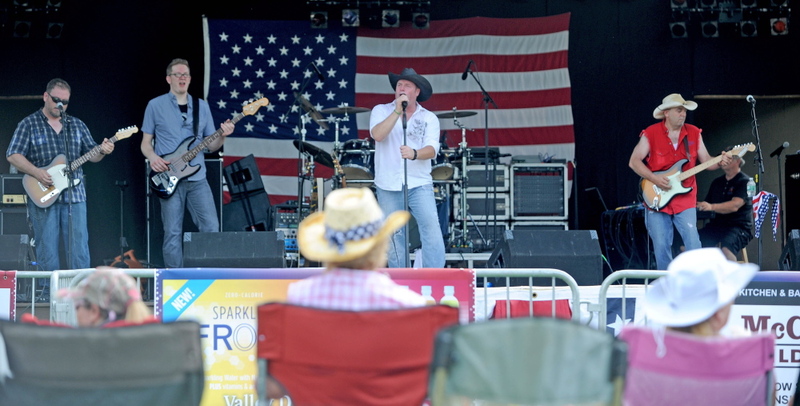 Winslow Town Manager Michael Heavener confirmed Tuesday there will be no Fourth of July events in the town whatsoever this year. Heavener said while some people in town may miss the parade, his sense was the evening events in the park had become too large. He said it wasn’t uncommon to see people who went to the event simply turn around because of how packed the park was. Even so, “I think the parade will be missed,” Heavener said. Organizers say they’re planning a scaled-back version of the celebration, wherever it is held. Kevin Douglass, vice chairman of the Winslow Family 4th of July Committee, the volunteer group that puts on the event, previously had said the goal was to make the event more like Old Home Days celebrations, which are annual events usually held in early summer in New England towns. 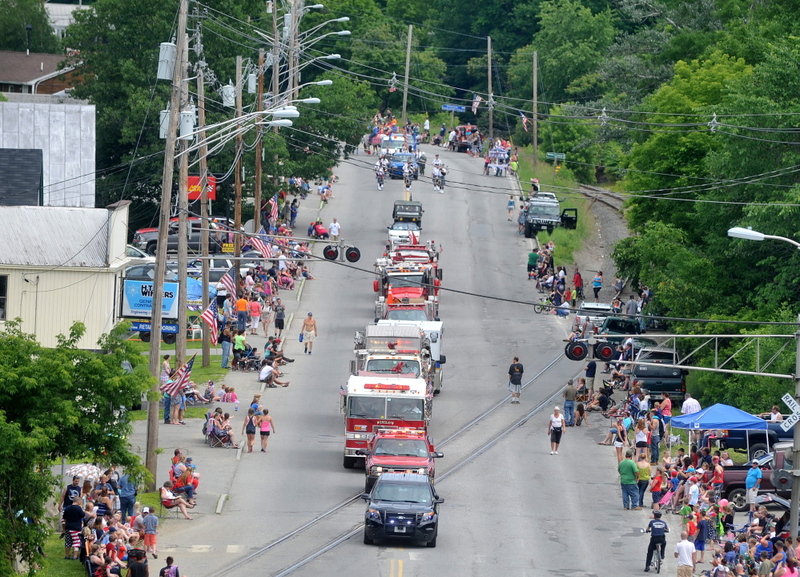 Heavener said it was possible a Fourth of July parade could return for the holiday at some point in the future. 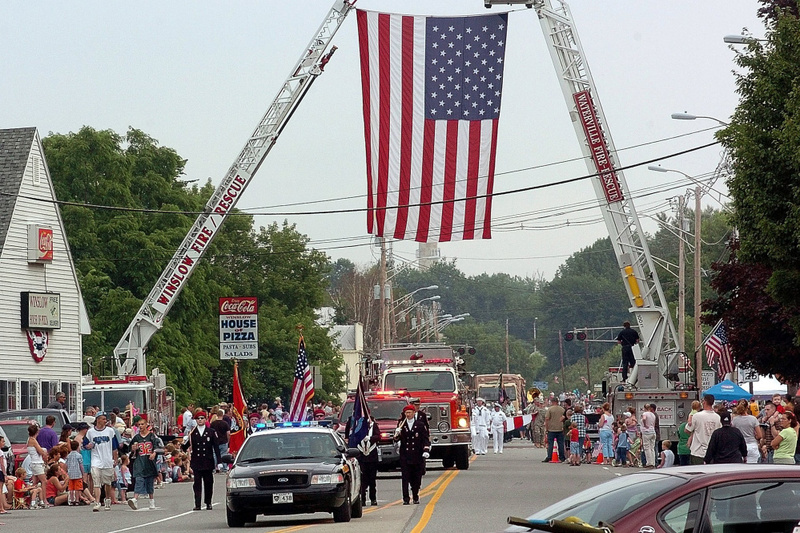 “I don’t know if the town would take on the expense of running the parade, but if some group came forward and wanted to do it I think we could certainly make that happen,” Heavener said. The event moved to Winslow after a disastrous alcohol-fueled celebration at Head of Falls in Waterville in 1990, in which a couple hundred intoxicated people jumped up and down on the Two Cent Bridge until part of it broke and four police officers were injured in confrontations with people. The celebration’s organizers have been seeking a new home for a few years now. As early as 2015, they had meetings with representatives in Fairfield, but in December the Fairfield Town Council decided not to accept the proposal that had been put before them. That initial proposal called for the events to take place on Mill Island in Fairfield, but that isn’t large enough to accommodate them. The Police Athletic League sports fields were discussed as a possible venue, but Town Manager Michelle Flewelling said the PAL Board did not want the events there because of planned improvements to the field that would be taking place over the summer and concerns that something as large as the Fourth of July celebration could damage the fields. There were also concerns about the cost of the celebration, which has ranged from $50,000 to $60,000, and in recent years the organizers have struggled to raise the money. The Winslow celebration, which has brought in 70,000 people to Fort Halifax Park — nearly 10 times the population of the town — also had been viewed as too large for the venue. Rising costs for local police coverage is one of the major reasons cited by town officials and organizers for the fallout between Winslow and the celebration committee. On Tuesday, Heavener said he had asked the organizers to make a payment of $8,000 for their debt to the town. He said they did not make the full payment, instead paying $1,000, which brings their total debt for the last two years’ of events to just over $13,000. “I haven’t talked to them, but I’m certainly hopeful that they’ll make payments as they raise money,” Heavener said. Davis said the group continues to fund-raise to pay off the debt they still owe to the town of Winslow. For example, they are hosting a benefit dance and silent auction for fundraising on April 21 at the Winslow Veterans of Foreign War Post 8835. Davis also said organizers are working to create more activities for families with children. Meanwhile, even the new efforts to the bring events to Clinton have gotten off to a rocky start. Last week, Buddy Frost, who is on the Clinton Lions Club board of directors, said the group behind the celebration was supposed to show up at a meeting but never did. That sounds similar to what happened in Fairfield. In December, the council had asked the committee to come back with a different proposal for them to consider, but the group did not return. Frost said the club has discussed the issue, but no decision has been made yet. He did say there was some concern about the events possibly damaging the fairgrounds ahead of the September Lions Club fair.